Good morning, my Cutting Edge Stencils friends. If you are looking for inspiration on how to dress up your dining room then you have come to the right spot! Our wall stencils can help bring your dull space to life. It’s as simple as choosing a coordinating room color along with your favorite wall pattern. 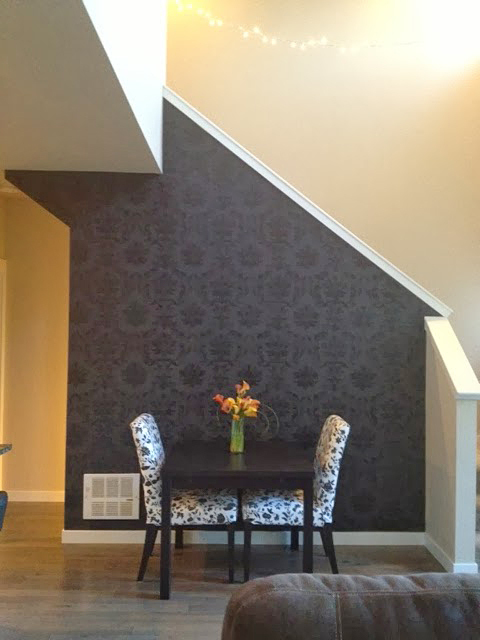 Today we are sharing a dramatic dining room makeover using our Gabrielle Damask Stencil. We’d like to introduce Brianne, the creative DIYer behind the blog Brianne Says Color Life Beautiful. Brianne has wanted to do something to embellish the wall that sits behind her dining room table. Here is what it looked like before. The wall lacked pattern and personality. 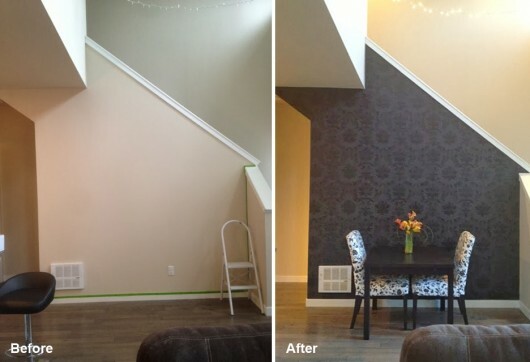 Brianne and her husband debated adding wallpaper or using a wall stencil. 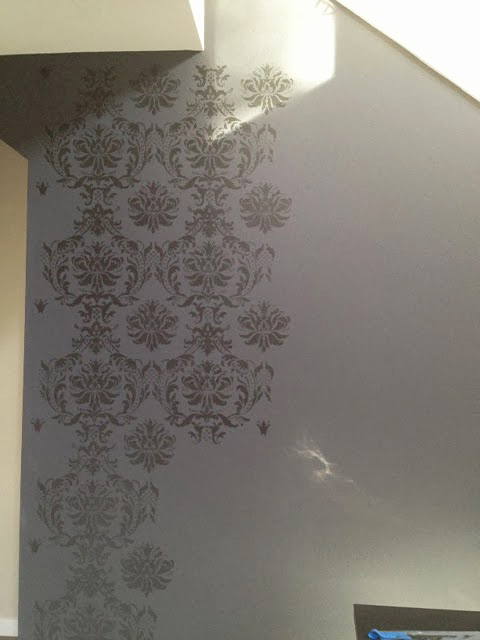 Wallpaper can be quite costly and a hassle to put up so they landed on a wall stencil. 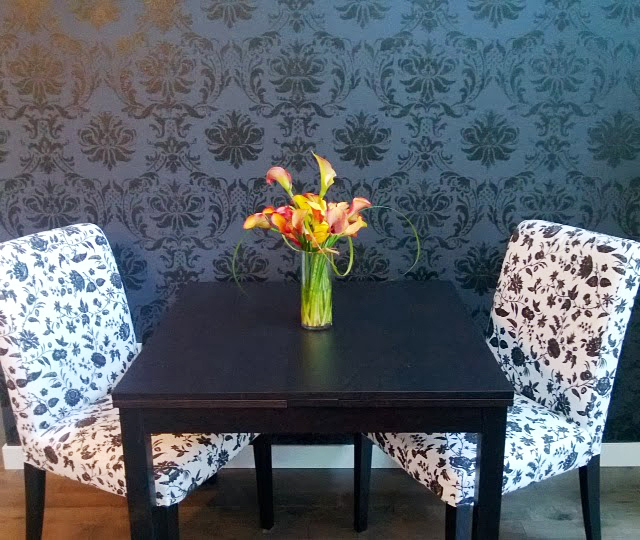 A painted wall pattern is a great alternative to wallpaper and it can be customized based on color preferences. Brianne browsed our large collection of wall stencils online and fell in love with our Gabrielle Damask Stencil and she also purchased stencil essentials kit. 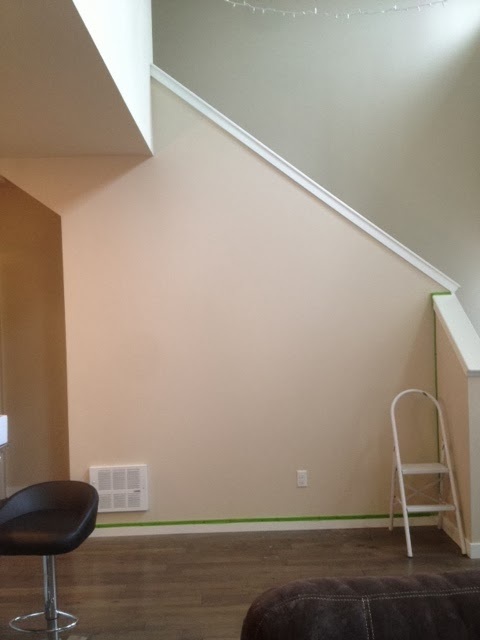 The first thing she did was paint the wall using Behr’s Cracked Pepper, a charcoal colored hue, in flat. With her stencil in hand, Brianne was ready to start stenciling! She used blue painters tape to adhere the stencil to the wall and a dense foam roller to paint the pattern. Brianne painted the damask pattern in Behr’s Broadway in a high gloss. Painting in a high gloss can be a bit of challenge and requires extra patience. In order to make sure the high gloss paint didn’t drip under the stencil, Brianne had to roll off extra paint on a paper towel. 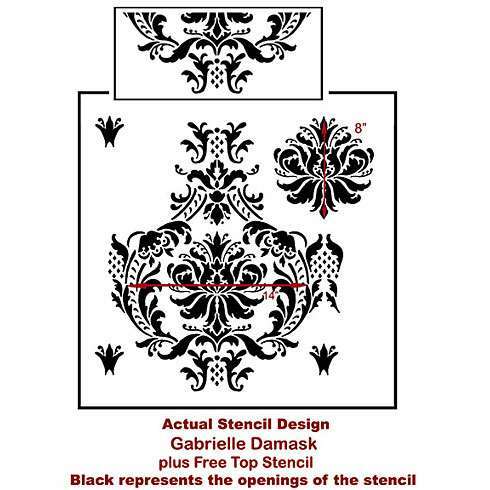 After each section was painted, she would un-tape the Gabrielle Damask Stencil and reposition so she could stencil the entire wall. Oh and because we can’t resist a great before and after, here you go! 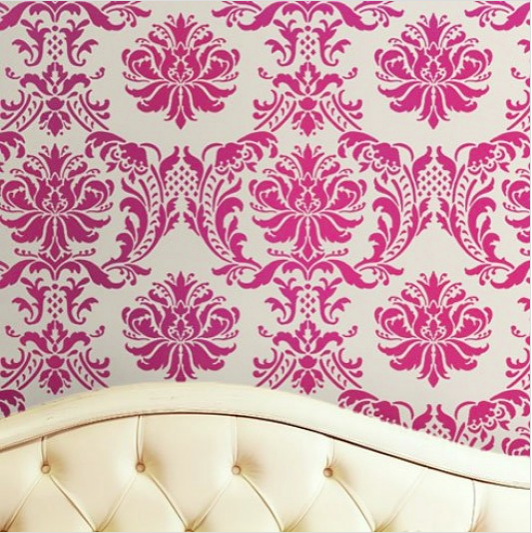 Tell us, what do you think of this Gabrielle Damask stenciled accent wall? Leave us a comment below, we’d love to read your thoughts! DIY Stenciled Decor Looks We Love!